Once you’ve completed a Check In report, you may want to obtain signatures from the tenant to agree the contents of the report. 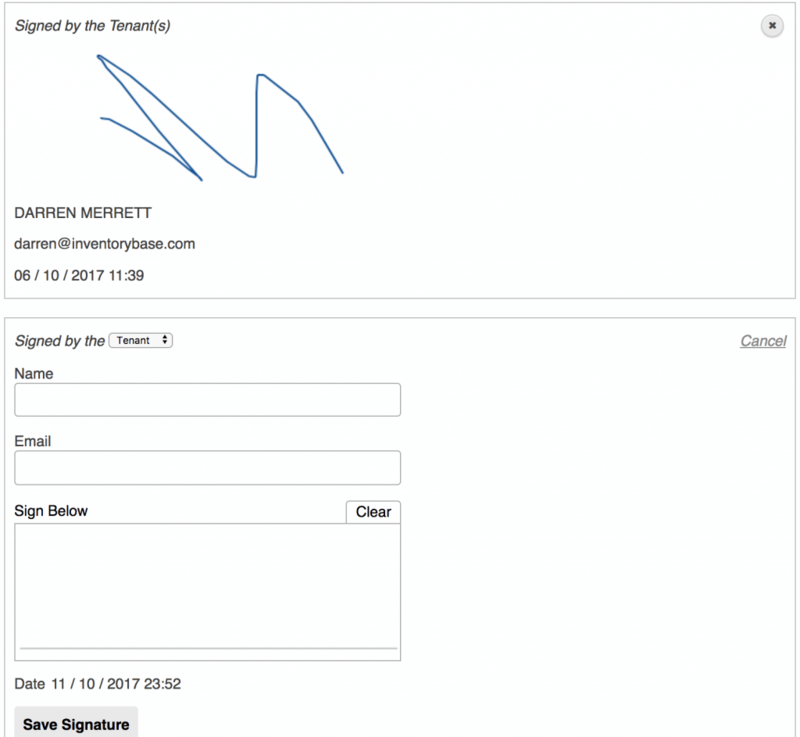 InventoryBase follows a specific protocol for the collection of digital signatures. You must mark a report complete before you obtain signatures and you will not be able to edit the report further once it is signed. Making amendments to the report after obtaining signatures will require tenants or landlords to re-sign the report. 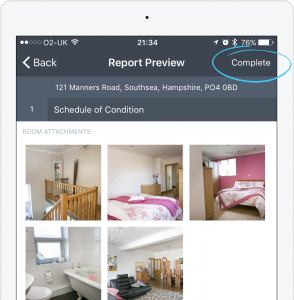 If the tenant is present on-site, you can obtain their signature(s) by marking the report complete in the app from the Preview Report page. Once you’ve marked the report complete, a blue Pencil icon will appear at the bottom, which will lead you to the signature form. If you’ve already entered contacts online and marked them as Signees then they will appear at the bottom of the Preview page ready to sign against their name. Entering an email address on the signature page will automatically send a copy of the report to the email address once the report is uploaded (“Sync’ed”) to the server. Tap on the signature pad and hand over your device for the tenant or owner to sign using a stylus or just their finger. If you need to obtain signatures after sending the report to recipients. Tenants, landlords and any applicable party can sign the report online. 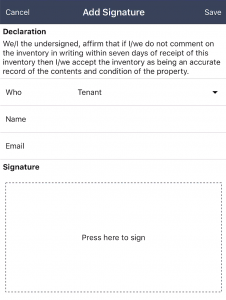 InventoryBase provides a unique web address to access a report which can be shared with recipients automatically or manually, an interactive report allows tenants to add their comments alongside your observations and sign reports right in the web browser. You may also want to obtain signatures for the purpose of recording key handover and transfer of liability for the property. We recommend using a ‘Standalone Inspection’ and applying a simple Schedule of Condition template for this purpose, so you can enter meter readings, list keys and check smoke and carbon monoxide alarms then obtain a signature for Check In. Choose ‘Standalone Inspection’ from the Inspection Type dropdown, and change the title of the report by clicking above. 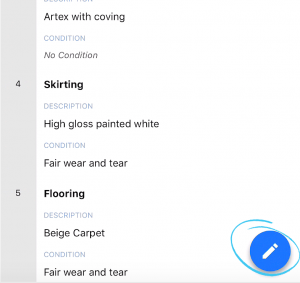 You can also select the appropriate template for a standalone Check In, such as a Schedule of Condition which contains keys, meter readings, keys handed over and household manuals. Read more about templates here.